ESD PEKK (electrostatic dissipative polyetherketoneketone) is a thermoplastic with static dissipative properties for applications where a static charge can damage products or impair performance. It has excellent chemical resistance and favorable mechanical and thermal properties, making it appropriate for demanding applications that require resistance to electrostatic discharge. Custom Materials Development Enables Printed Parts for Aerospace that are Electrostatic Discharge Safe. ESD PEKK thermoplastic combines static dissipative properties in combination with excellent chemical resistance and favorable thermal properties, appropriate for demanding applications that require resistance to electrostatic discharge. *Data values are preliminary and subject to change. 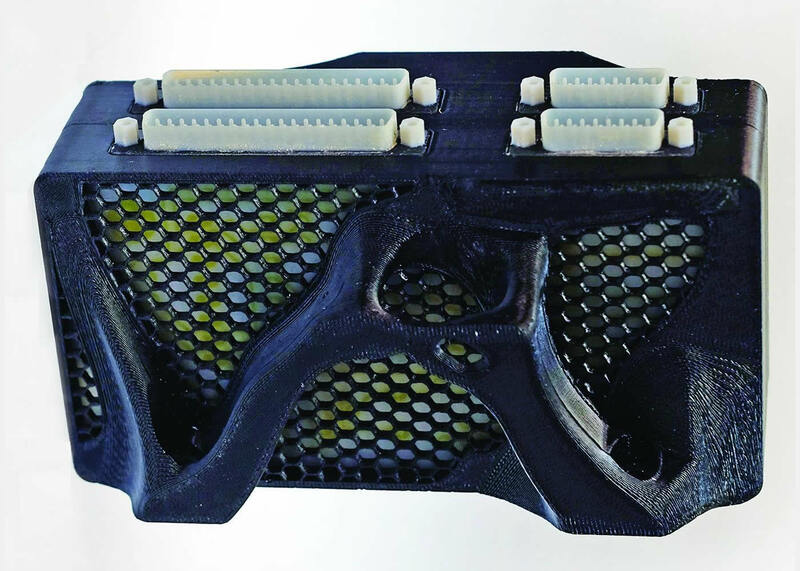 FDM technology works with engineering-grade thermoplastics to build strong, long-lasting and dimensionally stable parts with the best accuracy and repeatability of any 3D printing technology. ESD PEKK parts are tough enough to be used as advanced conceptual models, functional prototypes, manufacturing tools and production parts. Need to 3D print with ESD PEKK?